The recent rumors on the Internet stated that Nokia is working on a new Android based phone. It is reported that Nokia will unveil an Android-powered touchscreen mobile phone shortly. It is believed that the phone is apparently at such a stage of development that any change in the platform used would affect the reputation of the company. The company has always based their handsets on Symbian, this rapid switch can also be considered as a measure to apparently stop the company from losing out on the market share which is faced lately. Where phone companies like Samsung and Apple stick to their respective operating systems, Android and iOS respectively, Nokia has sought the other path to introduce new smart phones of their brand. 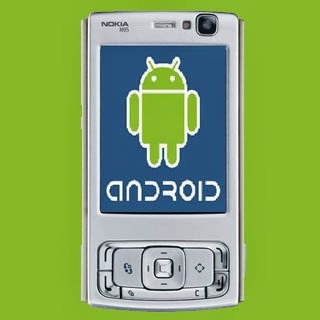 First Symbian, next Asha and now Android – Nokia wish to offer their customers with all variety possible. Certainly with this variety comes a price – Nokia will have a hard time breaking through this walls of Android competition where so many other smart phones are supporting this operating system. Normandy – the name rumored to have it all. Nokia Normandy is said to have an Android operating system platform for its users. Why did Nokia decided to go Android after all? This is a question that can be answered simply by the level of its market demand. As with previous series of phones that Nokia introduced, it plans on releasing Normandy with different range of colors. With all the candy colors, Nokia-reliable touch screen and Android, it may not get better than this for most. Another good news for Nokia lovers. Nokia, though planning to introduce Normandy in the coming year, is seeking to include it in its cheaper cost handset range. Nokia mobile phones are already well known for their reliability and long-lasting capabilities.As all the smartphones, different tabs introduced into the market, and the Apple hype, it got stuck at the back for quite a while.The Finnish company was smart enough to get back on track and launch new mobile phones experimenting with all the operating systems possible.Now at last it landed on the Android operating system. The phone is not expected to offer access to the Google Play Store or to be a flagship device. Instead it will likely address the low-end smartphone market alongside Nokia’s Asha devices that run Series 40 OS. Hardware details for the Normandy are not available at this time, but the image suggests the handset will have dual SIM capabilities and feature a single capacitive button. It is yet to see how well it fares with this operating system but given the circumstances, it has high chances of faring well. Android app market has gone beyond the limits previously available. 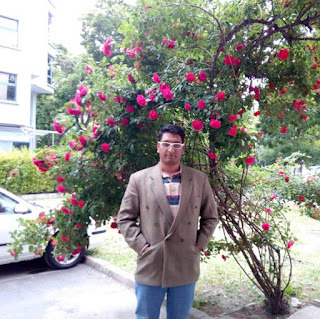 All sorts of applications are available for completely free and in various versions in its app store. Moreover, the recently evolving spy applications are also mainly aimed at Android operating systems. Some famous companies like Mobiespion and MobileSpy which are developing these spy applications features updates regularly for Android OS. Thus parents could find it beneficial to gift their children with a smart phone where monitoring them might not be a challenge at all. It does seem like there's a lot of competition in the Android/Smartphone market at the moment but I'm looking forward to seeing what Nokia have to offer up. Great post!